Football Mogul puts you in the front office, making decisions on what players to trade, draft, sign and cut. As owner and manager of your own football team (pick your own city and nickname), you make all the player decisions as well as set prices for TV contracts, concessions and tickets. The game engine simulates each game, and you can play a week, a month or a season at a time. The value of this game is in the enjoyment, not the lack of eye-candy. FM realistically simulates running an NFL team. Player salaries are controlled. Ticket prices. Concessions. Trades. The college draft. 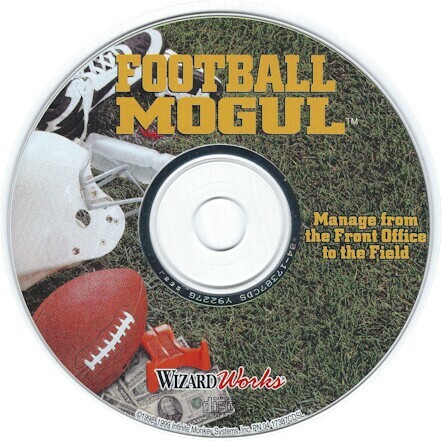 It's all here, and Football Mogul does a fantastic job of making you feel like a real GM. It's easy to make a winning team at first, but with rising player salaries, and the salary cap, the game gets tough real fast. Do you save the wily veteran who is a proven winner but wants more money, or the promising but untested backup who will sign for the minimum? The decision is yours. Not only is the general manager aspect fun, but commissioner mode is a BLAST. You want to coach the expansion Worthington Wildcats? Go ahead and add them. Are the Saints finally tired of the unenthusiastic New Orleans crowd? Do they want to move to Ohio? Go right ahead. Does the salary cap get bumped up every year? It's your call. Almost anything that can happen in the NFL can happen in Football Mogul. Football Mogul influenced the games of its time. 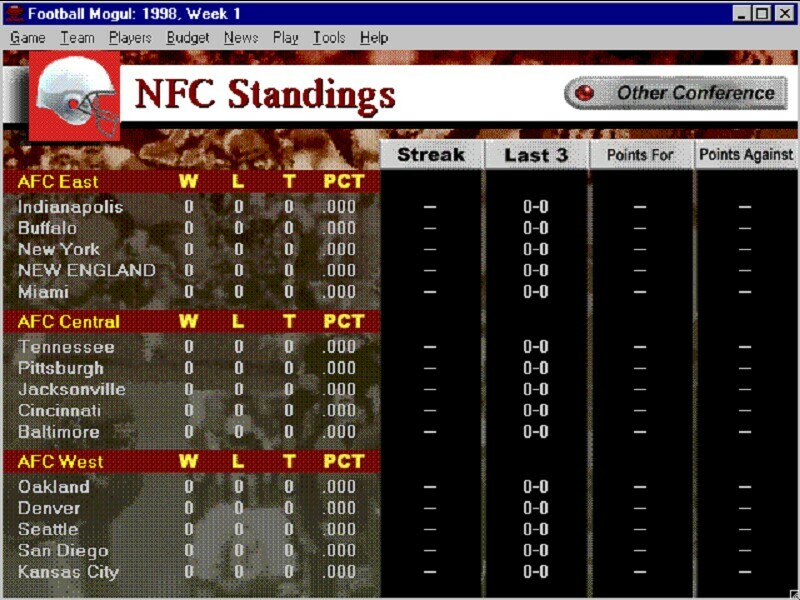 The Madden series, for example, began to feature a "Franchise" Mode, where you get to control a lot of the team, though you don't get as much control as in Football Mogul. Football Mogul is in a class by itself.